After The Riott Squad defaced The Bella Twins’ locker room, Fearless Nikki looks for payback against the group’s leader, Ruby Riott. The Hounds of Justice retaliate against Braun Strowman, Dolph Ziggler, Drew McIntyre and the other Superstars who laid them out one week prior. Acting General Manager Baron Corbin bars The Hounds of Justice from Monday Night Raw for the evening. Louisiana’s Superstars of Tomorrow visit Raw as WWE celebrates their bravery during Pediatric Cancer Awareness Month. Under the tutelage of Drake Maverick, AOP continue to dominate in tag team action on Raw. The Deadman returns and sends a message to HBK and Triple H, making his final clash with The Game at WWE Super Show-Down intensely personal. Jarrius “JJ” Robertson meets Raw Superstars in the same building he received the Warrior Award during the 2018 WWE Hall of Fame Induction Ceremony. The B-Team try to reclaim their titles from the aggressive new champions in this hard-hitting rematch. Shield brothers-in-arms have a legal bone to pick with Raw’s Acting General Manager. KO will no longer be held accountable for what he does to his opponents. Nikki Bella explains how she used The Riott Squad’s locker room disruption as fuel to defeat Ruby Riott on Raw. Hear why the entire Raw Tag Team division should pay very close attention to AOP. The Kingslayer and The Lunatic Fringe will challenge Dolph Ziggler & Drew McIntyre for the Raw Tag Team Titles at WWE Hell in a Cell this Sunday. The Rowdy One might be fighting through injury, but she also has some extra motivation as she prepares to defend her title against Alexa Bliss at the WWE Hell in a Cell pay-per-view. The Man of the Hour takes an interest in Bobby Lashley’s workout. WWE Hall of Famer Mick Foley returns with some big WWE Hell in a Cell news and to introduce the songsmith to a certain sock. The newly formed team of Chad Gable & Bobby Roode aims to ascend Raw’s Tag Team ranks by once again taking on Konnor & Viktor. Raw’s newest tag team continues to gain momentum on the red brand. WWE’s first Universal Champion takes on The Living Truth in a match made by WWE Hall of Famer Mick Foley. The Big Dog doesn’t wait until stepping into Hell in a Cell to get a piece of The Monster Among Men. 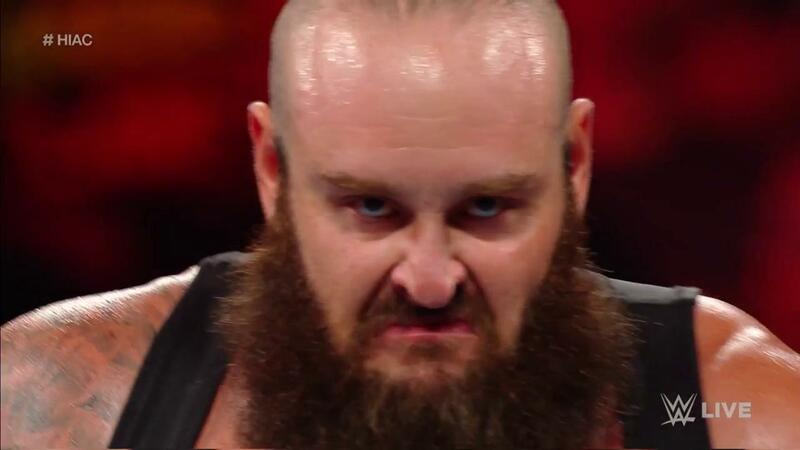 After suffering a Samoan Drop through the stage, The Monster Among Men remains determined to dominate Roman Reigns and become Universal Champion inside Hell in a Cell.